1. Heat a large skilletover medium-high and add the ground beef. Cook until thoroughly browned, but try to keep it a little chunky. Drain off the grease and put the meat in the bowl of the slow cooker. 2. This step is what makes this recipe so simple… Throw every other ingredient into the slow cooker. Start with the onion, garlic, beans, tomatoes and spices; on top of that add the tomato sauce, paste and red wine and stir it all together (try to maintain the chunkiness of the meat, but it will fall apart a bit). 3. 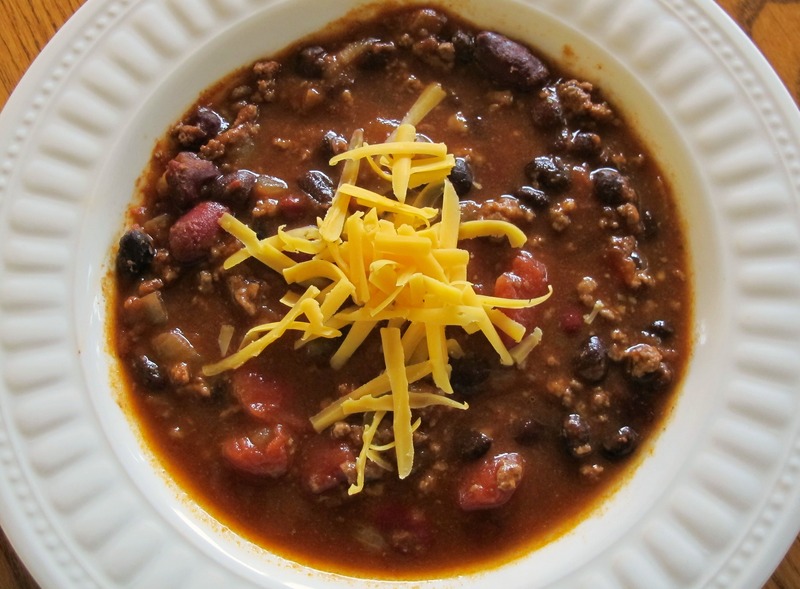 Cook the chili on low for about 6 hours and you’re ready to eat!